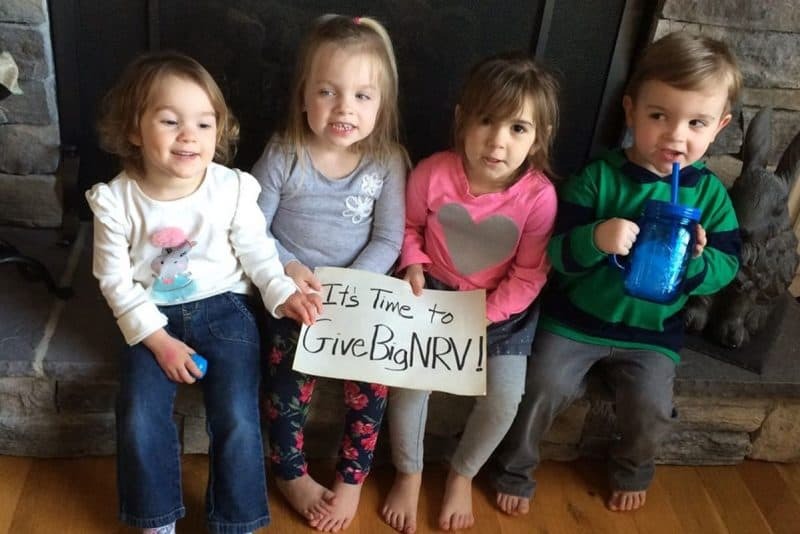 The Community Foundation of the New River Valley (CFNRV) is holding its 6th Annual GiveBigNRV Giving Day on Wednesday, April 24, 2019, to help organizations both big and small raise money in the New River Valley and draw attention to the important work nonprofits do in the region. Donors visit the website – cfnrv.givebig.org – to make a secure, online gift to their favorite nonprofit organization during the 24 hour giving period. GiveBigNRV has grown from small beginnings in 2014 into a major regional event, bringing in more than 2,000 donors and over $300,000 in 2018. In the five years of the program to date, GiveBigNRV has raised almost $1,000,000 for nonprofits across the region. This year, CFNRV has set goals to increase unique donors to 2,500 and raise $300,000 for participating organizations. Over 100 nonprofits across the region typically participate, and donations of any size – from small gifts of $10 to large gifts over $1,000 – are welcome. To further encourage broad participation among nonprofits, CFNRV will be giving out $10,000 in incentive grants. Grants will be given to one small and one large nonprofit that raise the most money in their category, to organizations that achieve 100% board member participation, and to the nonprofit that creates CFNRV’s favorite GiveBigNRV video. Also, five regional grants will be awarded to nonprofits with the most unduplicated donors in the counties of Floyd, Giles, Montgomery, Pulaski, and the City of Radford.